Urinary disorders comprise a group of diseases affecting the bladder and the kidneys leading to damage of their function. There are rising incidences of such problems worldwide and being largely neglected, their treatment is a matter of concern. From current estimates, (they are known to be the 12th biggest factor contributing to deaths and the 17th most influential cause of disability globally. This is because chronic and persistent urinary disorders are often linked to vascular problems, diabetes, hypertension and heart related disorders. 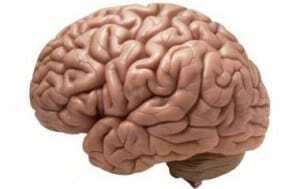 The prevalence of these diseases varies based on several parameters, some of which include race, age, and origin. The most common cause of these diseases is genetic or infectious based on various environmental triggers. Some common disorders which fall under the general definition of urinary diseases are Glomerulonephritis (diseases affecting the glomeruli), kidney stones- linked with low urine volume and malabsorption, diabetes and acute renal failure, where the functioning of kidneys is temporarily lost. Regular screening and medical check-ups are advisable to detect these problems at early stages and treat them suitably. Turmeric is an herb belonging to the ginger family. Endemic to South and Central Asia it is commonly used as a spice to add flavor to curries. It has been used for its medicinal properties for centuries. Many Ayurvedic and Chinese therapeutic practices are centered on its use. It has unique antioxidant and anti-inflammatory propensity, making it useful for treating a multitude of disorders. 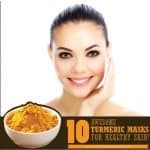 The chief active components of turmeric are curcuminoids, they impart a yellow color and have many colouring and cosmetic uses. 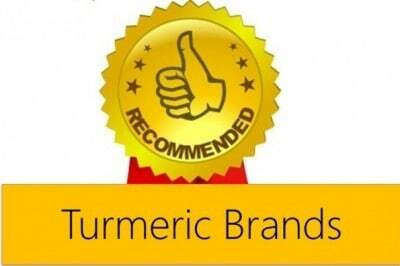 Turmeric has gained a lot of popularity among medical professionals for its healing powers. As such, it is available in a variety of forms- form capsules and tablets to even teas. Turmeric is believed to have excellent healing properties. Increasing scientific evidence is indicative of its ability to reduce the risk of various types of renal problems along with reversing their effects. Urinary tract infections are one of the disorders of great concern. They are painful and can cause inflammation. The main cause is the action of foreign pathogenic microorganisms. These microorganisms form a pathogenic biofilm containing bacteria like Escherichia coli and Pseudomonas aeruginosa. This was analyzed through a study directed towards understanding its effects against Staphylococcus aureus and Escherichia coli in particular. 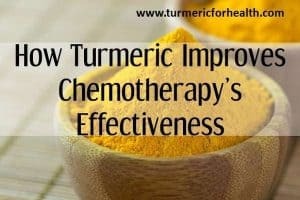 It was seen that treatment with turmeric significantly inhibited the growth of bacteria. It can also prevent biofilm formation by stimulating the release of anti-biofilm chemicals like exopolysaccharide and alginate. This property was validated by examining how turmeric interacts with toxic biofilms under a light microscope and confocal laser scanning microscope. The antibacterial abilities of turmeric are helpful in curing urinary tract infections as they kill the microbes which cause flare ups and inflammation. Inflammation is one of the chief influencers of pain and irritation at the damaged or infected tissue. It takes place due to the body’s attempts to repair damage at a particular site. It is one of the main markers of most urinary problems. Numerous animal and human trials have recorded the benefits of dietary curcumin in decreasing inflammation. This is due to its ability to bind to and modulate the activity of immune cells thus, lowering the severity of pain associated with the disease. One such study displayed the effects of curcumin on kidney inflammatory tissues. It was seen that curcumin was able to control the inflammatory activity of immune cells and also lower the expression of enzymes which promote this occurrence. Shing CM et al. in another such experiment was able to determine that due to its enzyme expression and immunomodulatory activities, curcumin is closely as potent as another useful anti-inflammatory compound- fish oil. The use of curcumin and turmeric provides a potential remedy for renal inflammation. It lowers swelling and enables better functioning of the concerned cells and tissues. If the rate of build-up of free radicals exceeds the rate of their elimination a toxic condition known as oxidative stress takes place. Oxidative stress condition is highly toxic for the human body and can lead to a number of harmful pathological conditions including those pertaining to bladder and kidneys. The ability of turmeric to relieve oxidative stress have been studied by many researchers. One of these, includes research recorded by Menon VP et al. where it was determined that the antioxidant capabilities of curcumin can be attributed to its property of regulating enzymes responsible for oxidative stress build up i.e. cyclooxygenase-2 (COX-2), lipoxygenase (LOX), and inducible nitric oxide in particular. This property also imparts the compound an anti-carcenogenic (cancer-fighting) effect thereby making it useful in the prevention and treatment of bladder cancer. In another study, haemodialysis patients of varying age groups were administered turmeric. Its effects were analyzed in comparison to a placebo. 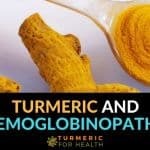 Over time, it was seen that turmeric improved levels of antioxidant enzymes while showing no toxic effects on the body. Thus, turmeric could be a safe and efficient antioxidant. Trujillo J et al. elaborated on the mechanisms through which turmeric brings about such potent antioxidant effects. He described that the compound acts through two modes: one direct, involving scavenging of reactive oxygen species and the second which entails indirectly inducing an antioxidant response. 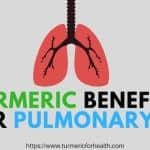 Through a model of chronic renal failure, it was observed that turmeric acts with the mitochondria (cellular powerhouses responsible for cellular respiration) in the cells to maintain a redox balance along with enzymatic regulation. It can be implied from this study that curcumin could be potentially used in urinary disorder to eradicate harmful free radicals. It reduces oxidative stress and improves cell viability therefore aiding in cancer therapy. The urothelium is a layer of cells that form a barrier between blood vessels and the urinary tract. Inflammation and neoplastic (abnormal) cell growth of uroethelial cells are key markers of bladder cancer. In a 2014 study published in BioMed Research International, it was seen that curcumin was able to exert anti-tumor effects on cancerous cells by displaying anti-inflammatory and antioxidant effects. 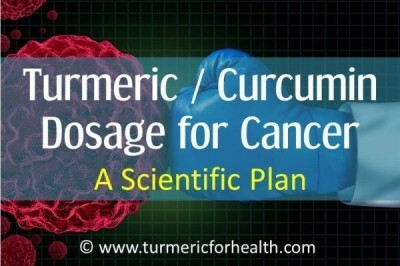 By binding to cells and monitoring their signals and division patterns, curcumin was able to significantly reduce tumor proliferation. Cystitis glandularis is a premalignant lesion that can initiate bladder cancer. These effects were demonstrated in a pilot study conducted by Qiong Lu to assess its efficacy in aiding cystitis glandularis patients. Through a clinical trial carried out on a group of patients, it was seen that the healing and anti-inflammatory properties of the compound made its utility for the treatment of the disease highly advantageous. Out of 14 patients, 10 showed significant improvement that increased throughout the 6 month period. 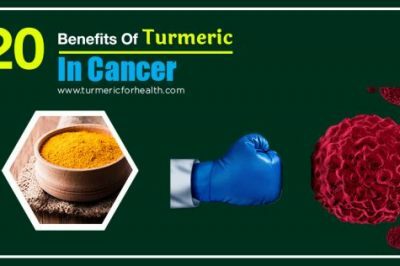 By monitoring the metabolic activity and division rate of tumor cells, curcumin extracts were capable of driving away the disease. This is a signal of its potential benefits in treatment of human bladder cancers. Chronic kidney disease is a major inflammatory disorder. On proliferation, over time it leads to dialysis and transplant requirements. Several cases have also been linked to cardiovascular problems and diabetes. One of its chief causes is an increase in gut permeability leading to leaking of pro-inflammatory molecules. Since it is majorly an inflammatory concern, the anti-inflammatory properties of curcumin can be put to good use in its therapeutics. Curcumin also increases the levels of Alkaline Phosphatase, a compound that is useful in restoring impermeability levels of the gut and thereby preventing leakage of toxic molecules. This, in turn, reduces the level of inflammatory enzymes and benefits in chronic kidney disease. Moreillon JJ along with his colleagues involved a group of 16 patients to understand the effects of herbal supplementation on chronic kidney diseases. The herbs he chose were Curcuma Longa and Boswellia serrate. By analyzing the results with respect to several enzymatic and biostatistical parameters, it was determined that these compounds are safe and highly useful in relieving pain and inflammation related to chronic kidney diseases. Turmeric extracts are useful in treatment of chronic kidney disease as they exert anti-inflammatory activity on affected cells. Diabetic nephropathy also called diabetic kidney disease is a progressive kidney problem related to damage of kidneys’ glomeruli cappilaries(part of the kidneys where the first stage of filtering blood to form urine is carried out) and disfigurement of the glomeruli. Depending on the intensity, it may lead to kidney failure in some cases. 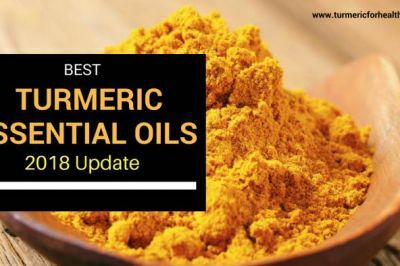 Considering the renoprotective potentials of turmeric, the U.S. National Institutes of Health conducted a clinical trial where turmeric extracts were given to diseased individuals of various ages. It resulted in a significant reduction in proteinuria (excess protein accumulation in urine) and cytokine levels, both important indicators of the disease. The compounds in turmeric exert antioxidant effects on kidney cells, they modify protein interactions and prevent proteinuria thereby avoiding glomerular problems. Majority of kidney stones are formed due to the accumulation of the chemical compound calcium oxalate in the body. 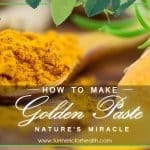 There has been an ongoing debate in the scientific community regarding the effectiveness of turmeric in treating this problem as a study conducted by Tang et.al determined that turmeric supplements increase oxalate levels in the body, therefore, increasing chances of kidney stones when compared to another natural therapeutic agent, cinnamon. In refute of this hypothesis, Sabinsa Corp, published that while turmeric supplements may contain oxalate salts, its consumption does not increase the risk of developing kidney stones. The basis of the conclusion lies in the fact that the abundant antioxidant and anti-inflammatory potential of the compound, markedly outweigh its oxalic acid content. Therefore, the consumption of turmeric tablets provides positive effects to kidney stone patients. 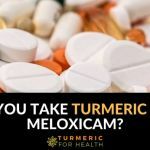 Although, turmeric supplements contain some oxalic acid components, its radical scavenging and anti-inflammatory capabilities are so potent that it surpasses the drawbacks of oxalic acid introduction into the body and instead helps cure the disease. Uraemic pruritus is a common side effect in patients who have undergone hemodialysis. Uraemia refers to excessive urea in the blood, and Pruritus refers to an irritation or itch. This is a leading cause of deaths among such patients if gone unchecked. 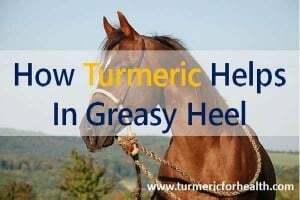 However, as per a study published in the Journal of Nephrology, 2014, turmeric provides a potential solution to this problem. In a trial with pruritis patients, it was seen through various biochemical tests that turmeric administration displayed a marked reduction in high-sensitivity C-reactive protein (hs-CRP), one of the markers behind Uraemic pruritus. Turmeric extracts can be applied in the treatment of Uremic pruritus effected dialysis patients. It is capable of regulating hs-CRP levels and in turn reducing irritation. Polycystic kidneys is a genetic disorder characterized by progressive enlargement of fluid-filled cysts which can lead to renal failure. In order to test the inhibitory effects of curcumin in cysts formation, Gao J and colleagues carried out an experiment aimed at understanding how curcumin obstructs relevant cellular pathways. Through observing cell viability, proliferation and apoptosis (programmed cell death) it was seen that curcumin could inhibit the formation and decelerate the growth of cysts. This is brought about in a dose-dependent manner by obstruction of the cell cycle and protein signals. The use of curcumin strengthens the genetic defenses in the body and inhibits cyst formation by controlling cell and protein signals. This implies that curcumin could be developed as a candidate drug for polycystic kidney disease. Nephrotoxicity is a common disorder of the kidneys. It generally occurs on the exposure of the body to a harmful drug, toxin or radiation post which the body faces problems in being able to pass urine or get rid of wastes. Turmeric is known to benefit this situation as has been displayed in many studies. Through an animal model, scientists determined that dietary ginger and turmeric helped improve the concentration of biomarkers of renal damage and decrease oxidative stress condition in the kidneys. Anticancer drugs generally exert damaging effects on the kidneys. One such drug is cisplatin. Considering this situation, Song KI et al. aimed to understand how turmeric could aid such damaged kidneys through in vivo and in vitro modes. It was seen that curcumin, through its anti-inflammatory and antioxidant activities helped alleviate renal dysfunction symptoms in an animal model. Another study showed how curcumin derivatives are helpful in treating gamma radiation affected kidneys. The mechanisms through which curcumin corrected the damage to the kidneys was a synergistic effect of enzymatic regulation and antioxidant effects. Methotrexate is another effective anticancer and immunosuppressive drug which has adverse effects on the kidneys. In a study published in the Journal of Advanced Pharmacological Sciences in 2013. The ability of curcumin to display nephroprotective effects in methotrexate-induced renal failure was highlighted in this study. The enzyme regulatory activities of the compound were yet again validated through this experiment. The antioxidant and enzyme modulating effects of curcumin come into good use when protecting the kidneys from drug or radiation induced damage. Kidney or renal transplant is the process of organ donation. It is generally carried out for a patient experiencing final stage kidney failure. The transplant may be carried out from a recently deceased or living donor. In several transplant cases, the recipient’s immune system may reject or act against the donor’s kidney. Tumeric has displayed the ability to help with such problems. In a study involving renal transplant patients, it was seen that the administration of curcumin was helpful in suppressing the autoimmune activities of several immune cytokines, particularly, Th1 cytokine. Another study conducted by Shoskes D et al. showed that the use of bioflavonoids such as quercetin and curcumin are useful when avoiding nephrotoxic side effects in transplantation patients. Through antioxidant effects, they improve graft function in a safe and efficient manner. 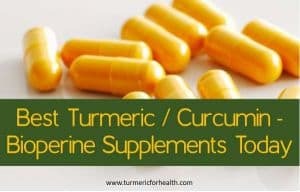 Curcumin extracts can be used to combat the toxic side effects that majority patients go through post kidney transplant. By regulating immune cell activity and oxidative stress levels, it can help reduce abnormal immune system reactions and prevent the body from rejecting transplants. 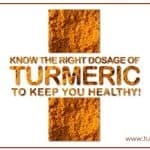 Through the above-mentioned studies, it is clear that turmeric is outstanding healing and disease preventing agent. Its administration safeguards the kidneys and bladder from a multitude of problems. This makes its development as a drug highly advisable. The efficacy of turmeric extracts in alleviating symptoms and causes of renal diseases can be attributed to a multitude of its benefits. Some of these include anti-inflammatory, antioxidant, immunomodulatory and enzyme level monitoring effects. 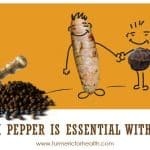 Turmeric is rich in antioxidant compounds that prevent and reverse damage to cells by obliterating harmful free radicals. These compounds also regulate cell signals and its anti-proliferative activity is believed to be responsible for the compound’s renoprotective abilities. Hi K ,this is my personal experience with curcume ,maybe it will help someone . at 70 ,getting up at night isn’t rare ,but once i realize i have to go pee 10 times every night it was way too much . the urologist will send me invitation for biopsy ,but i didn’t want to go on like this ,feeling very tired every day .so happened i read on curcume and started using it . i looked for a comfortable way of using it and made a spicy paste ,that on bread made it simple to use . it’s maybe 2 weeks now and i get to pee maybe 1-2 times a night . i feel this paste isn’t perfect yet and being very careful I know by now that there is no problem for me in using maybe 2-4 spoon of the paste daily . 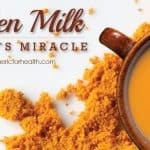 For healing urinary problems it is recommended to consume the herb in the form of Turmeric milk or turmeric tea. Turmeric has an anti-platelet property and hence turmeric supplements should be avoided if suffering from bleeding risks. You may consult a doctor before taking turmeric in this case. Curcumin found in turmeric is known to interfere with drug metabolism. Hence it is advised not to take curcumin supplements concomitantly with any other medicine. Maintain a 3-4 hour gap. 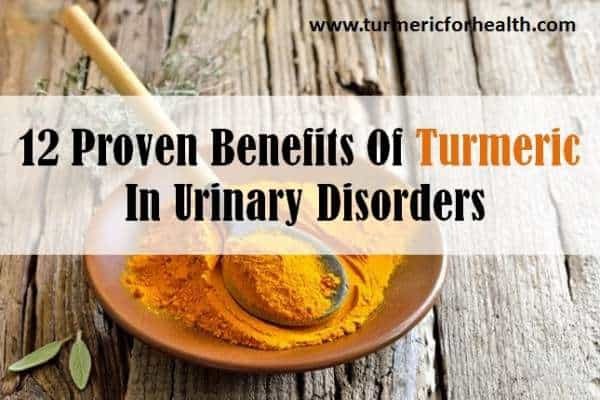 Turmeric has several benefits to offer with respect to urinary disorder treatment. 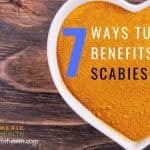 Its unique combination of antioxidant, anti-inflammatory, and anti-microbial effects enable it to treat a variety of disorders of varying types and origins. In addition, it is safe for use in the human body and is cost effective. This ensures a healthy and natural mode of treatment for even the most complex health problems without incurring too much expense. Can turmeric help to ease bladder pain caused by interstitial cystitis? Just to make sure, does Turmeric helps for incontinence? Turmeric’s effect on urinary incontinence has not been studied directly but it can definitely help in treating causes of it such as urinary tract infections. Turmeric does help with urinary tract infections. Turmeric should be taken with food. It does not dissolve in water. You can opt for Golden Paste. Start with 1/4-1/2 tsp a day and increase the dose gradually to 1-2 tsp 2-3 times a day. It have been maybe 3-4 days that I started to use turmeric in my food again after a year or so, in every meal about half to full tea spoon and man I stink like a bunch of cats peed on me, I am not even kidding lol it also looks like the smell might be coming thru the skin so something is definitely happening. I used to have kidney stones one-twice a year, didnt pass any for a cohple of years now, yesterday I felt something going on in one of the kidneys(pain, pressure, higher teperature) I thought I’m going to pass a stone but after about one hour it stopped. Time to up the water intake and make parsley ”tea” to dissolve the possible stones. Anyway hope the smell goes away quickly, need to shower more frequintly. 1 full teaspoon for every meal is a bit too much of turmeric. The preventative dose is 1 tsp of turmeric powder a day when it comes to cooking. 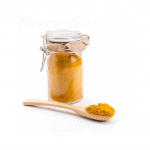 Turmeric powder contains oxalates. So if you take high amounts of it or if you have other sources of oxalates in diet then turmeric would add to the load and since you are prone to developing kidney stones it could increase risk of kidney stones. Limit your intake to 1/2 -1 tsp of turmeric powder. This should reduce the odor. You could take Golden Paste. Adding cinnamon to this recipe can take care of the smell. However cinnamon also contains oxalates. You should evaluate your dietary oxalate content before taking both of these spices. 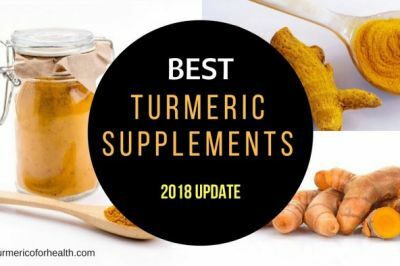 If advised by the doctor and if you are taking turmeric to treat certain condition, you could opt for turmeric supplements which also contain black pepper for absorption. Thank you for posting…I didn’t know if I was the only one having this problem. I have just started taking turmeric to flush out inflammation (only about 3 doses – so literally, I just started) and have had the same problem that within 8 hours, I will use the bathroom (either urinate or bm/pass gas) and it smells as if my cat has decided to use my bathroom for a litter box. Did you find a remedy for the smell? The turmeric does help with my pain and inflammation, but the smell is unbearable. Hi. It is kind of unusual to get any such odor with low dose turmeric consumption. However adding cinnamon powder to Golden Paste is found to reduce such a smell. 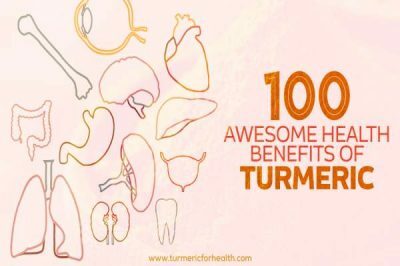 How effective is turmeric for a swollen prostate? Hmmm, I checked your post and I’m little bit confused. The I see: “…Turmeric will also stain your skin and leave behind a yellowish tinge…”. Hi Taiko, thanks for the feedback. Changes made. A good quality turmeric does not leave stains as such. Your skin may look a bit yellowish but with multiple washes it goes. Trust me, I have tried it myself! I made my own turmeric paste adding milk and lemon for acne use. After, 25 minutes i washed it and I have to say I got a yellow face!! Not sure if it has to do with my skin color( tannish) but there is a definite difference between my neck and my face. A yellow difference! hopefully it will fade by tomorrow. It should go very soon. Maybe next time keep it just for 15 min.